Designed for easy setup and operation in multiple configurations to produce sustainably safe drinking water without the need for consumable media. SkyHydrants are used for a wide range of applications supplying safe drinking water to remote communities, farmhouses, mining, and industry and for many other applications from both surface and ground water sources. The patented cleaning process ensures the system operates continuously and the simple maintenance procedure allows the unit to be easily operated by non-technical persons. The unique ultrafiltration process enables the SkyHydrants to produce quality drinking water using low water pressure without complicated technical procedures. 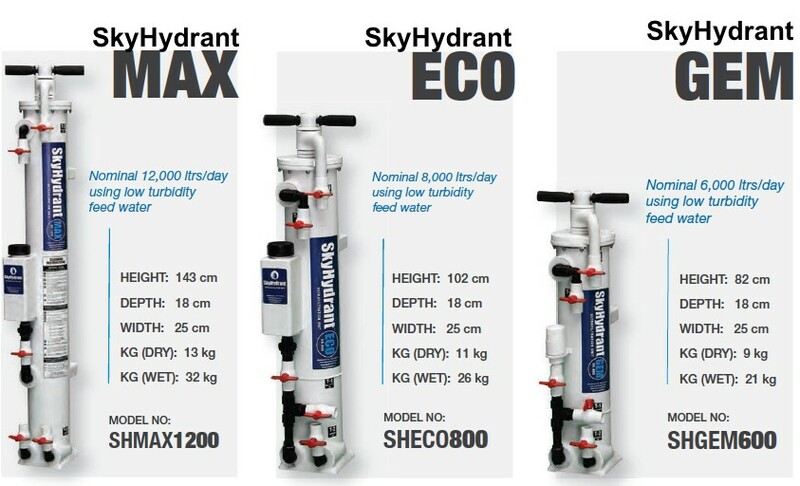 SkyHydrant provides virtually complete removal of pathogens (disease carrying organisms) as well as dirt and turbidity to produce safe drinking water. 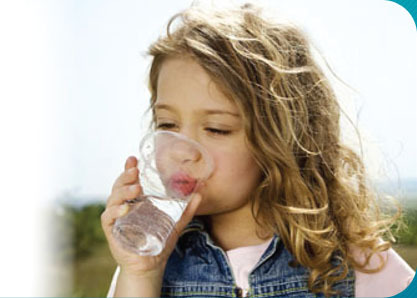 The system is not designed to remove salt or chemicals from water. Regular cleaning only takes a minute to complete and is essential to prevent the filter module becoming clogged. A handle ion top of the SkyHydrant is moved back and forth to shake clean the internal filter before flushing away contaminants. The SkyHydrant does not need to be accessed internally for cleaning and should last for years providing correct cleaning and maintenance is regularly undertaken.